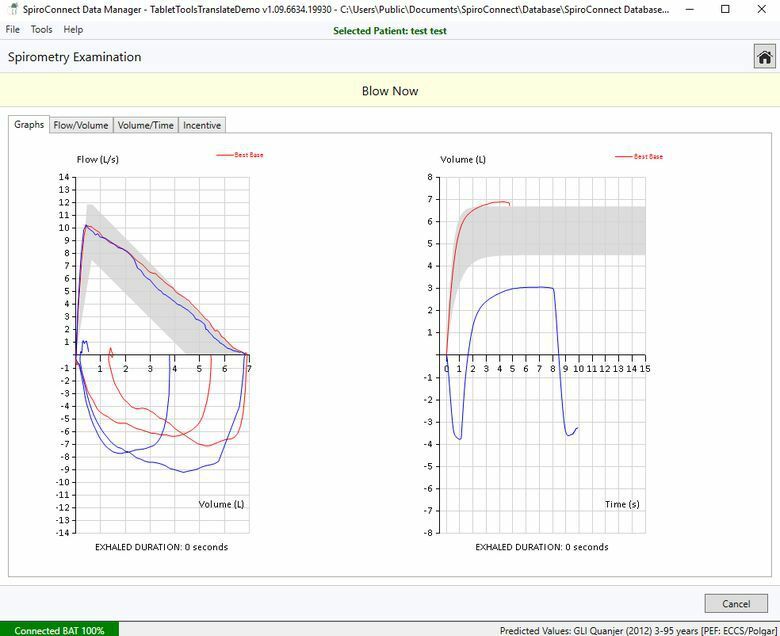 SpiroConnect® is the first spirometer that uses vertical turbine technology. This revolutionary technique, in combination with a specially developed antistatic plastic, guarantees an absolute minimum of friction. 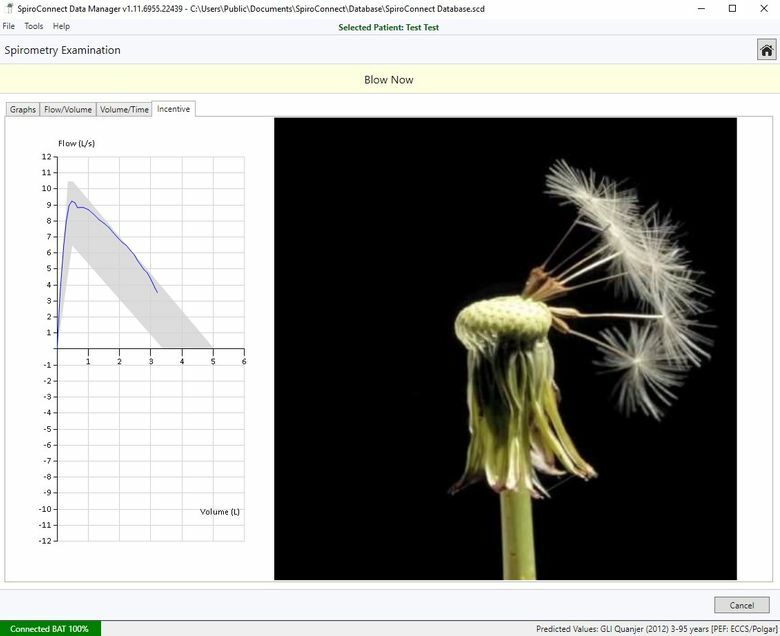 This allows SpiroConnect to measure a correct reading, even at the smallest of flows (down to 0.025L/s!). The classic turbine spirometers with horizontal turbine have 2 pivot points that roll in around a conical V jewell. 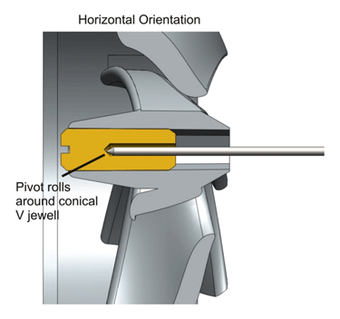 With SpiroConnect's vertical turbine the pivot rotates on a single point of contact, which produces less friction. The video shows the turbine is still spinning at a very low flow of 1.39L/min (0.023L/s). When switching the turbine to a horizontal position, the turbine stops spinning. SpiroConnect gets rid of cables once and for all! The spirometer connects wirelessly to a PC or tablet through Bluetooth. A preconfigured wireless USB-Bluetooth dongle is delivered with the device. 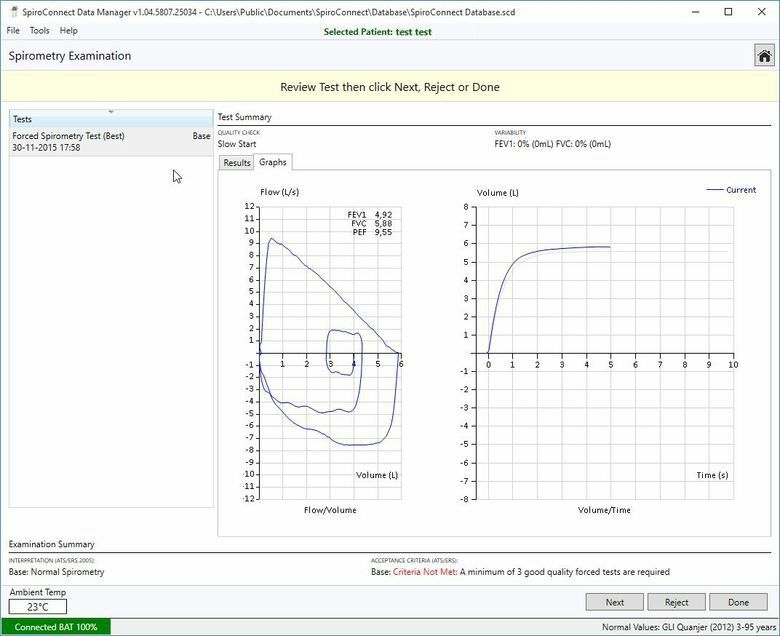 The spirometer does not need to be paired to the computer. 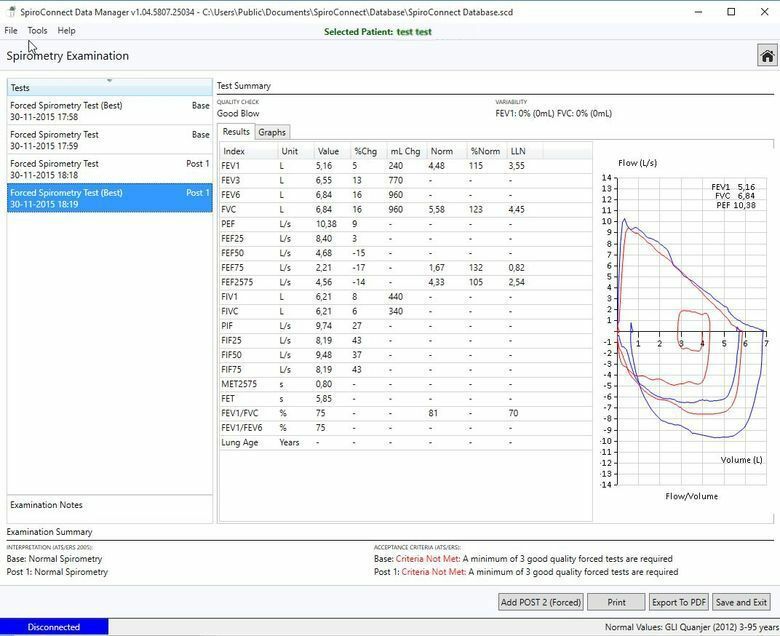 The extremely user-friendly SpiroConnect DataManager allows to perform a spirometry in real-time on the screen of the PC. 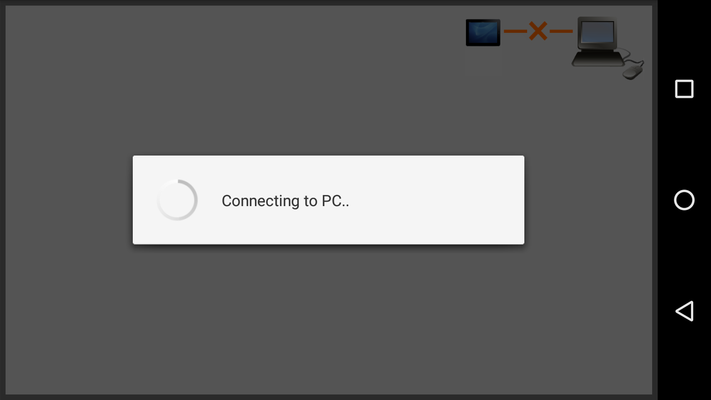 SpiroConnect connects wirelessly to the computer. 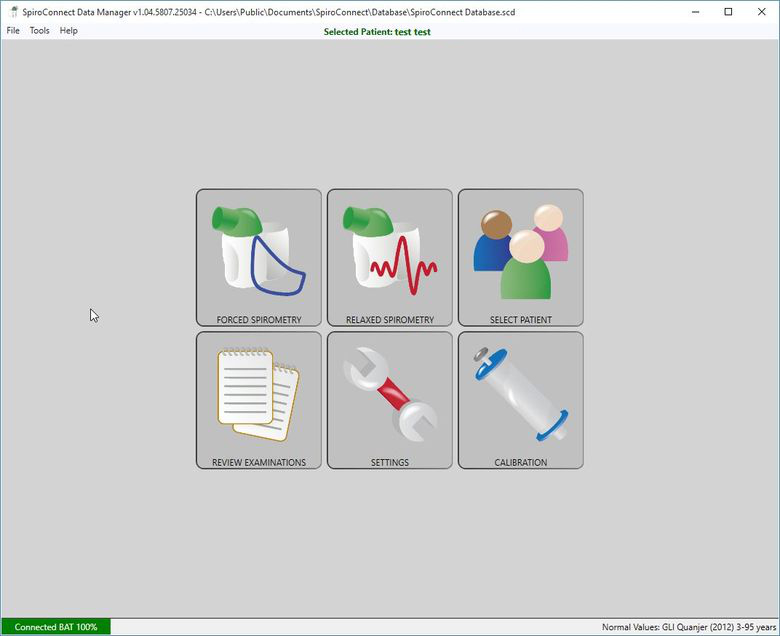 The software can be linked to the Electronic Medical Record and is compatible with the WiPaM telemedicine platform. 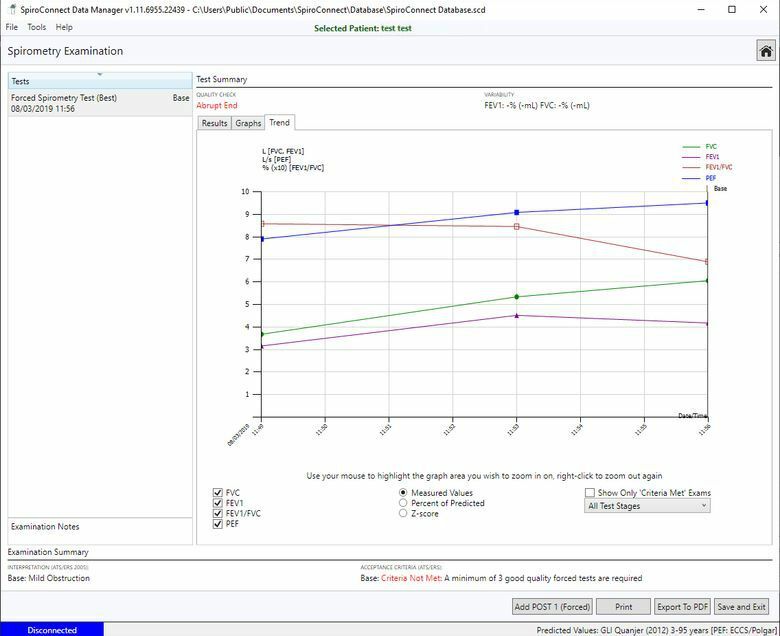 SpiroConnect Datamanager supports network connection out of the box: all the computers in the network can use the same central database. Integrated incentive spirometry allows even young children to perform a perfect test. 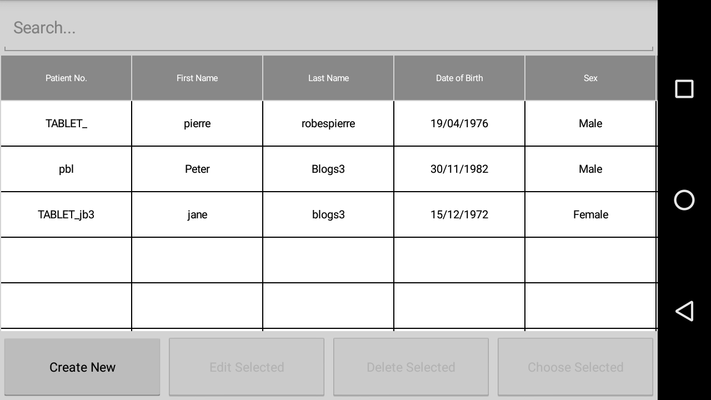 One click PDF export is included. 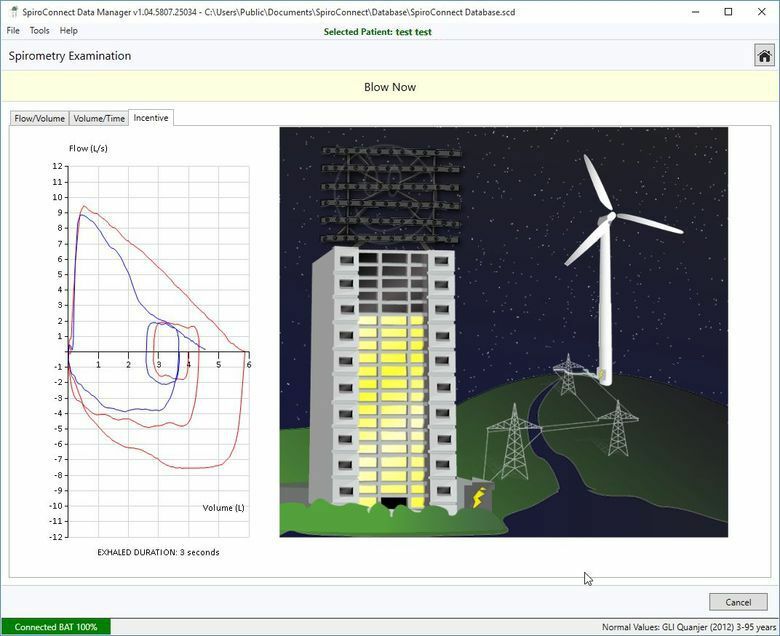 The software includes the latest predicted values (GLI Quanjer) and is available in English, French and Dutch. 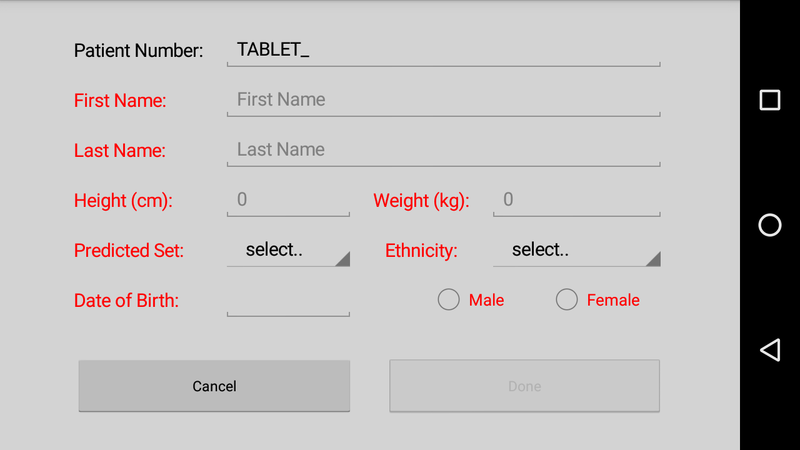 SpiroConnect also works on mobile Android devices. The spirometer can be switched from PC to mobile and back very easily. 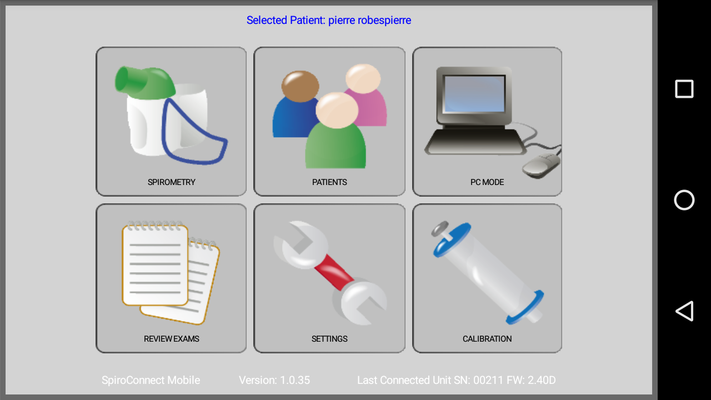 This way your smartphone or tablet is transformed to a fully functional diagnostic spirometry work-station. 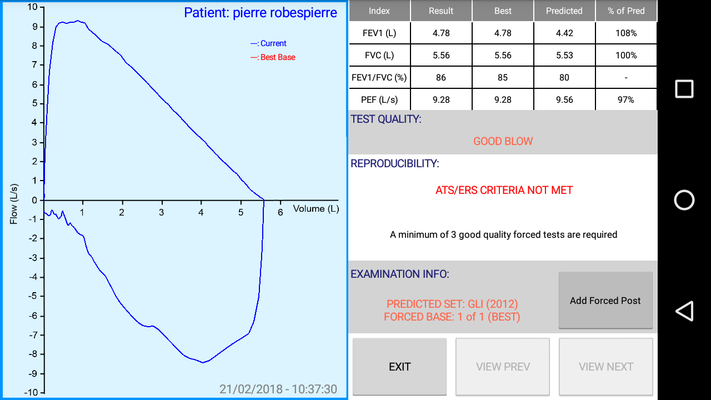 The mobile spirometry app allows to perform a full FVC test with real-time visualisation of the flow-volume loop and the possibility to perform post-bronchodilatator tests. 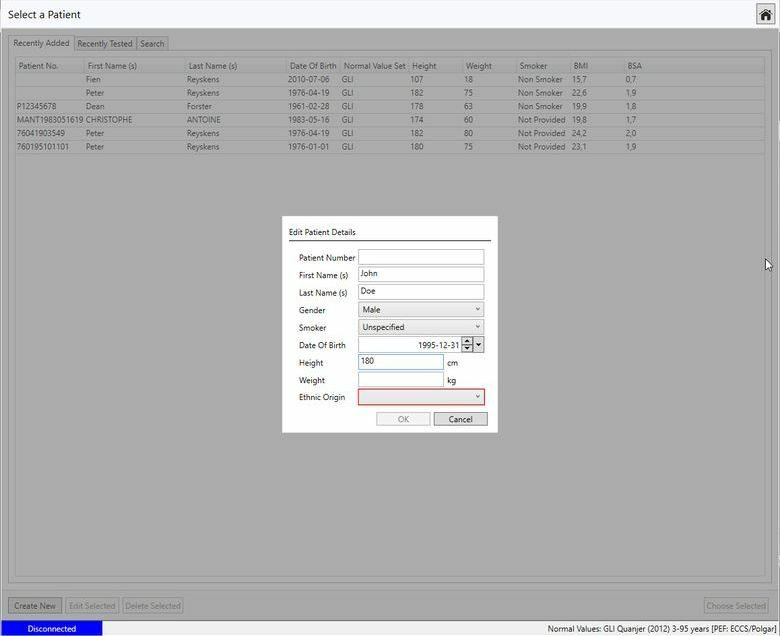 It is also possible to send patient data from the PC software to the mobile application and to easily syncronize spirometry results from the mobile app with the PC software. Turbine spirometers have been a standard in spirometry for over 30 years because of their ease of use and precision. SpiroConnect raises the bar with its patented vertically placed turbine technology. 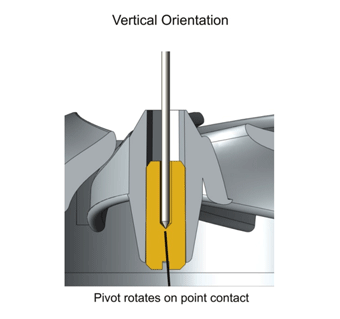 The vertical turbine produces less friction on the pivot points which allows unprecedented precision at low flows. Moreover an advanced antistatic synthetic material is used which reduces friction and increases accuracy even more. 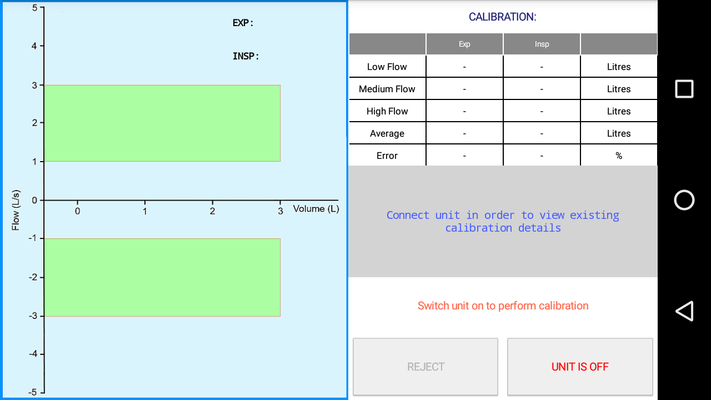 The flow-volume loop is shown in real-time in the software during expiration, allowing an immediate feedback to patient and examiner during the test. SpiroConnect is connected wirelessly to the computer with the included USB-Bluetooth adapter. 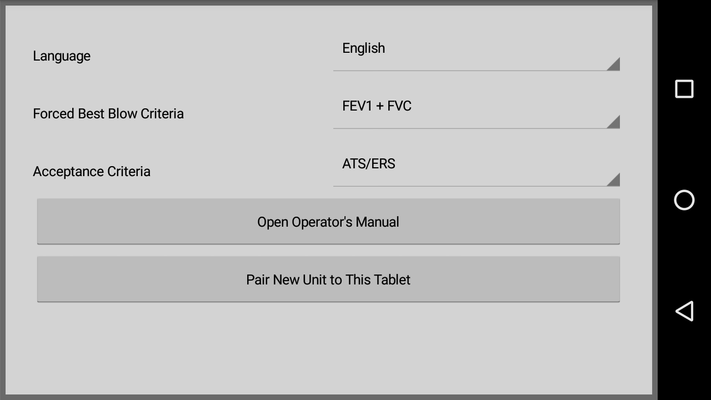 SpiroConnect follows the latest ATS/ERS specifications and is extremely stable, reliable and accurate at every flow. The spirometer is delivered with a handy soft carry bag, a Bluetooth-USB dongle, software and nose clip. Do you need more information on SpiroConnect? Do you want to buy this spirometer? SpiroConnect is manufactured by and the registered trademark of MedChip Solutions Ltd.